Watches - My Interest - Always looking for more. 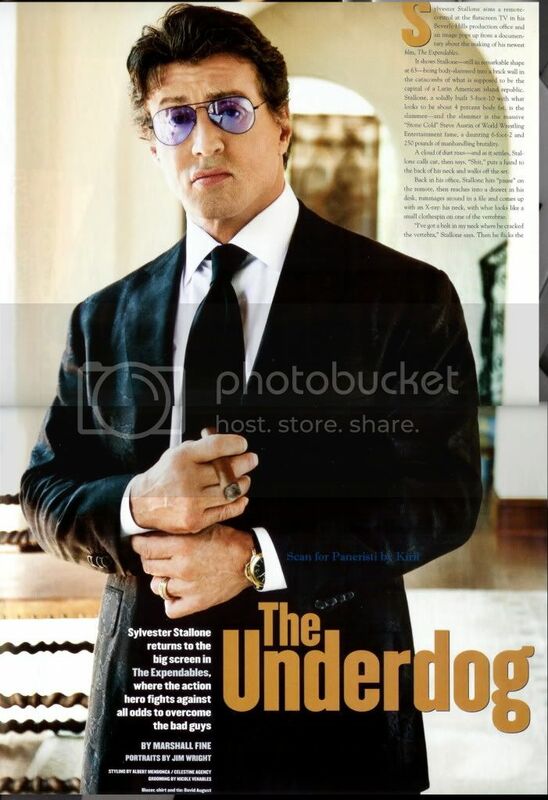 Again a picture of Sly with his gold Panerai - somehow a gold Panerai looks OK on him - I would never be able to pull that of. Steel og Ti to me. 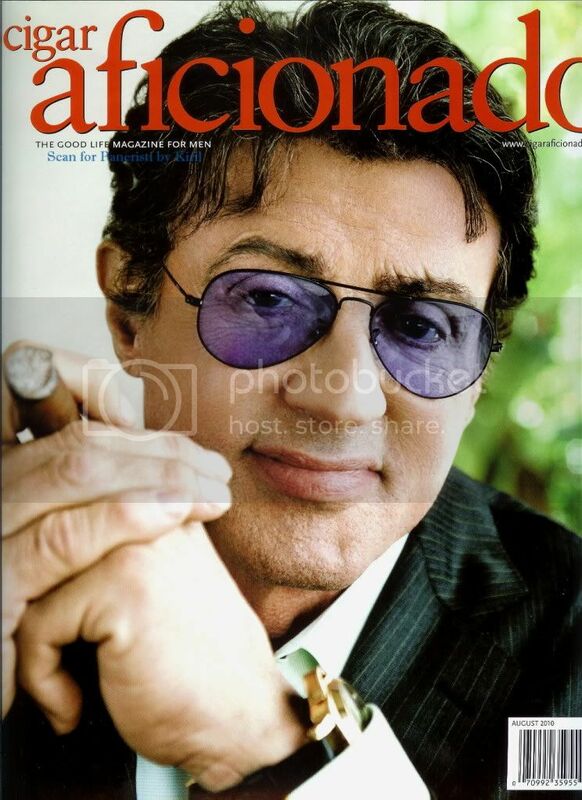 But check paneresti - for these nice high resolution photos of Sly with his Gold Panerai. So don't expect much update on this site during the next 3 weeks. I'm off to a summer vacation with grill, redwine, water, ice, family, friends,etc. Really looking forward to NOT thinking about the job the next 2-3 weeks. Again Mike Wood from London - (T.O.W.S aka The Old Watch Shop) - he is know for his big collection of Rolex vintage subs, and espessially the Rolex Mil SuBs - watches that demand prices that normal people can only dream of. 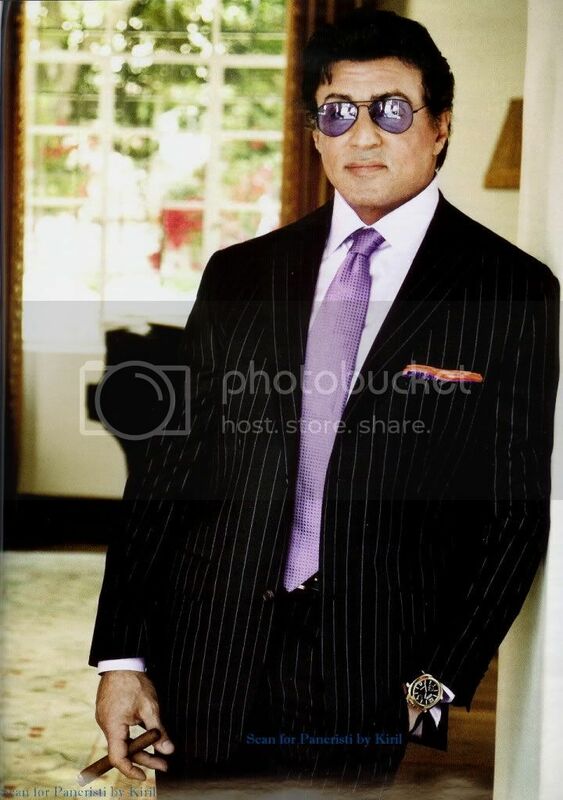 One thing is for sure - He don't have to invest in any pension plan - with these watches - his old time is secure. I would like to know his annual insurence premium.. If all his watches was lost in a fire, stolen, etc.. There will be no way to get his collection back. People in the News - Frederik Fetterlein (ex tennis player in DK) - Linde Werdelin? This is by no way official - but I think I have spotted two Linde Werdelin models on Frederik Fetterleins wrist. In the danish TV show - "Kom til middag hos" I spotted a Linde Werdelin SpidoLight and just the other day I think I spotted a Linde Werdelin Gold model (Oktopus). Now Frederik Fetterlein is no "role model" in my eyes - so it will in no way give extra credit to the brand with him as LW owner. With the newest version of the Rolex Green Sub - it is NOW official that the original Green Sub is history. The original green sub (aka 16610LV) was introduced in 2003 as part of Rolex 50 years anniversary of the rolex sub, and did undergo many changes in the last 7 years (2003-2010). This means that this model Only had a life time of 7 years - and if I should count - I would say that there is sold between 20-30 normal subs for every green sub (pure guess). I foresee that the early versions of the Rolex green subs - without rolexrolexrolex on the inside ring - will start to raise in price over time - little by little. As the saying goes - if in doubt - select black!!. But I do like the idea of my watches has a little color - and when I don't have any red subs or DRSD - I can live with my rolex GMT with pepsi bezel and my green sub. My Rolex Sea Dweller 1665 - Best Rolex Design ever? The Rolex Sea dweller 1665 keeps surprising me - every time I put it on - this watch becomes second nature to me. I can really see that this first design, the case, the crystal, the dial, the complete package just works perfect together. The Newest Rolex Sea Dweller (the Deep Sea) has divided the rolex people - some like it, some don't like it, some find it to big, some find it perfect in size, some see the strap as to small, some see the strap as perfect,... etc. This will never be a issue with the original 1665 - this design just signs to your - don't see ANY thing I would replace or change. My watch comes with Rolex replacement dial (with luminova) and new hands - this means that the watch is just as functional in night as in daytime. This watch has been used, and serviced by a person that just wanted a working watch - and if Rolex recommended a dial replacement (and hands) this was of cause done during its rolex service. For some this would make this watch less nice (not completely original) - but for me I can live with it - this means that this watch is no safe queen - it is a watch to be used daily. This will forever be a true classic in my world. I used a hour to make some new photos of my Rolex 1680 - probably the most pristine Rolex vintage I have. It just looks so classic and timeless that I keep forgetting this watch is more than 35 years old. So without delaying it any more here are some newer photos of my 1680 (white). And Yes I would like a 1680 with red writing. But the prices are in the high end now. A good friend of mine have just added the first version of the Rolex Explorer II (1655) to his little collection. It was therefor in place to make a side by side picture of his 1655 and mine 16550 to see the change in looks for this iconic watch. Somehow I feel that the Explorer II lives the life of the unknown - it think that the buying ratio of rolex sub vs rolex exp II is like 10 to 1. From my view the Exp II is way underrated - For me it is still the watch to keep - my Rolex subs, gmt, etc will be long gone before I part with my initial love - the Rolex Exp II. So here you go - pictures of the "underrated" Exp II watches. I was a quick trip to the summerhouse last weekend, and made some photos of my Rolex 1680. This watch don't get the amount of wrist time I would like. But that is the trouble with to many watches - I mostly rotare between 2-3 watches - My latest watch - the Elemental (Linde Werdelin), my old used Panerai 25C, and one nice rolex (vintage or non-vintage). So with no more reason than - it is some photos of of my most perfect vintage rolex - best case, best dial, with box (no papers), and overall a true classic from the hands of Rolex. And as you can see from my initial writeup - It was not a watch I in the start was that much interested in. My Rolex Date Submariner 1680 was the one that I somehow felt was missing from my collection as the 1680 Date sub is the link between the original Rolex Submariner (in general the 5513 non date) to the modern Date Submariner (model 16610). I was so lucky that I was able to get a pristine example with the original Box and brochure included. Its becoming more and more difficult to find nice examples of vintage watches which has some of the original box and papers included. But with this white 1680 I feel that my "collection" has become more complete. Had a friend to a little cup of coffee in my summerhouse. He just came from another GTG - so for him it was a weekend of watches. So what did this little GTG bring forward. Well a classic and very nice gold 1675/8 with original very nice faded bezel, and his latest family member - this very pristine Explorer II 1655 straight hand. That watch was so clean that I can't believe it has been used that much from it birth year 1972. My friend started his journey into the the vintage Rolex for less than a year ago. Before that he "only" had his standard Rolex sub, and was looking a little into the Panerai world. But then we started talking, and he quickly started to look into the world of vintage Rolex - but getting these two Rolex vintage icons within 12 months - that is more than I could dream of - and when he starts to talk about the next watch - I can only say he has the vintage bug in a big way. I had selected to bring some of my daily watches - not in any way as Iconic as his 1675/8 or 1655, but they are mine - and I use them weekly. They include a pointed guard 1675, a 5513, a 1680, a 1665 (with replacement dial), my 16600 and my all time favorite - my Explorer II - the 16550 black dial. Enjoy first the table shoot of the watches - and last some more close up of the 1655 - and say to me if that is NOT one nice watch!!! Question - If there was to be made a "public" photo of you - which watch. I have seen many magazine covers lately with "known" people, and the trend is now to make "full" figure photos, and you can many times see the watch they wear. Somehow there is a over representation of Rolex watches, but other brands is seen as well. So my question is to all you WIS - if there was to be made a "public" photo of you for the cover of a magazine - which watch would you like to be "caught" with? I ask this because this is a little different than wearing a daily watch, this watch would be "the" official Photo of you and your choice of watch. The danish men's magazine (fashion etc) has the old time bicycle man on the cover - with a very prominent Rolex Milgauss GV. I always check the covers for peoples watches - Do you do the same? - Let me see some examples if you have them. I must say that somehow I still is drawn to the Rolex Milgauss. So if money was not a option I would have that on my list as well. And I can say that I would love to add some more vintage to the list - but I'm sure that the price will limit the chance of getting one of these. I would LOVE a Rolex Explorer II (1655) and a Rolex Gold Sub 1680/8, and of-cause a nice Rolex Daytona with brown sub-dials. But at the same time I'm a realist - these are over my present level- and I have much more to use my money on, before getting any watch at a price above 50.000 dkr. (8300 US$, 6700 Euro). What do I look for in a watch - quality, history or everything. This is a funny thing - what is the reason for selecting one watch brand over another. Many people look at the prestige in a watch brand - Rolex, AP, PP, etc. But what if these values was not a issue when selecting a watch. All watches - past and present was at the same price - lets say 2000 US$ for any watch, past or present. Which watch would you select. You have the option for any watch in the world - the watch will always be available for the price. Same model, same brand, etc. So if you buy a Rolex Daytona - Paul Newman - this would just be a simple watch on the same line as the Omega Speedmaster. So which watch would you like - vintage, new, limited ed., special - if all watches was equal. This is a very nice test for all us WIS - If we had NO limitations on the watch to get - what would it be. Sometimes I think we all want some special watch - mint in box, safe queens, vintage watch that is almost prestine, etc.. I for one would probally return to my Rolex Explorer II - it has all the qualities I love. People in the NEWS - Jason Statham with girl and Panerai. Found this on Paneristi forum - some nice pictures of Jason Stratham with a gold Panerai - well that don't look good on you Jason - get back to the "Transporter" watch. But I have no objections to the girl at his side - so I will not put any questions on Jasons good taste. People in the NEWS - with two watches on - at the same time. How many of you have seen people with two watches at the same time - not as a one of - but as part of their daily setup. I have seen Maradonna with Rolex Daytona's on each wrist, and now I think he has two "hubolts" on - but I'm not sure. In denmark we have Mads Christensen - aka "blærerøven" - is a person in denmark that is know for this. It is almost his trademark. What do you think about people that wear a watch on each wrist - and do you have more names and pictures. One of my watch friends - have done a great catch - he just returned from Germany with a new vintage Rolex watch. This is what I love about watches - the passion that exist. I first talked to him at my former job, and I was wearing my Panerai, and he "just" had a Rolex sub. But he was the only one in the complete firm that was into watches like me - but he was just starting out on his collection. He was mostly into a Panerai with power reserve, but after we started talking about vintage Rolex, he slowly started to have that on his mind. And now he is back with number 3 vintage Rolex - and this time a Explorer 1655 - and we all know that they don't come cheap. So sorry my friend - I must say that you vintage Rolex collection is very nice - now including two of the watches I would like. People in the news - Danish Crown Prince Fredrik and his Linde Werdelin watch !!! Looks like the Linde Werdelin brand have found a new Ambassador in the danish crown prince. Here he is making his way around Washington on bicycle and what does he have on his wrist - Yes the Linde Werdelin Spidolite. Now my question is - Did he buy it online ? 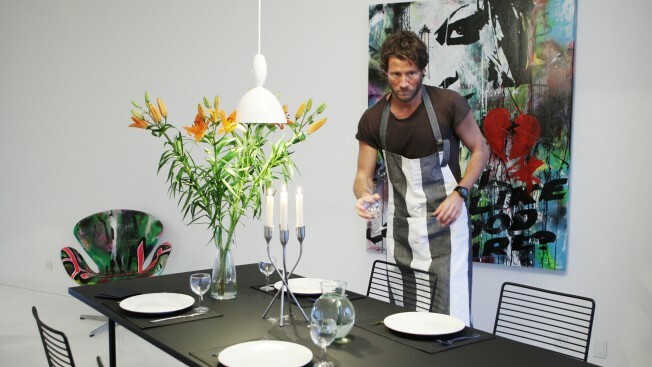 Or did he visit the little shop in Copenhagen where you can get it (Franz Jaeger & Me). Well I guess this now makes Linde Werdelin - "Official Royal Watch supplier". Guess Prince Fredrik has put his Rolex 16610LV (Green Sub) on the shelf for some time. It will be funny to see how long this will be his daily watch. Review 6: Linde Werdelin - what is the deal with this watch - what category? This is my almost final review of my Linde Werdelin Elemental watch which I have had on my wrist for over a month now. And what is my feeling now - It has been a little roller coaster ride. The initial feeling was very positive, then I had some questions on the bezel and straps that I feel is not up to the expected standard, and now back to a feeling that this watch could be my daily watch - It is starting to grow more and more on me. Let me start by telling you on my feeling of wearing a "unknown" watch - as this watch is NOT as easy to recognize as a Rolex, Omega or Panerai. I guess it is like wearing a Patek Phillip - only the real WIS people can spot it from a distance - all others just see a watch. It is the same wit the Linde Werdelin watch - I would guess that only a very few people would recognize this watch - and if they can I know I can have a real watch talk with these people ;-). And having a "unknown" watch brand on the wrist is funny for a WIS as me. All my friends know I'm into watches, and they ask me what is watch, where is my rolex, where is my big watch (Panerai) and what brand is that, etc. I still have some minor issues I would love to be "fixed". The strap option is one issue. I miss a rubber strap to give my final verdict, and I will get one in the time to come. Next is the rotating bezel - somehow it feels a little "cheap" - it works, and I think it will function well - but for I lack the "sound" when you turn it. Some times the quality in the sound and feel is very difficult to describe - the same as a Mercedes/Audi/Volvo car door vs a "Suzuki" car door - you can almost hear the quality by the sound. My other issues with the Linde Werdelin is the "extra" you get. I like the idea behind the brand, the design, the concept and the movement (I like the ETA movement). But some of the latest models from Linde Werdelin makes me feel that LW is moving into a different category than a super design sports and adventure watch into a High End fashion brand. In the present model range it is only "The One" that I feel is really true to the original idea. I like the Oktopus and the SpidoLite models, but the price is also in the high end. All in all I like "my" watch - The LW Elemental - it grows on me - it has a nice look, it is a dress watch with the textile strap. My next input on the Linde Werdelin watch is my view on recommendation - would I recommend this watch to a friend? Found this on rottentomatoes - some photos from Sly - "new" movie with two people known for their love on Panerai watches. 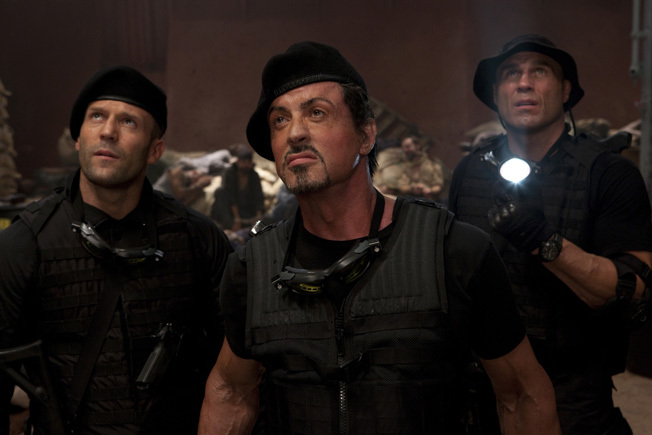 Sly is well known for his love of Panerai - so even say he is the reason it still exist. 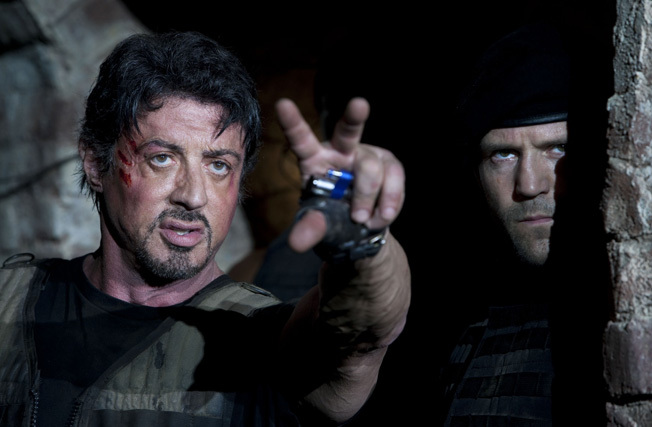 And Jason Statham - that was wearing Panerai in the Transporter movies (1-2-3). 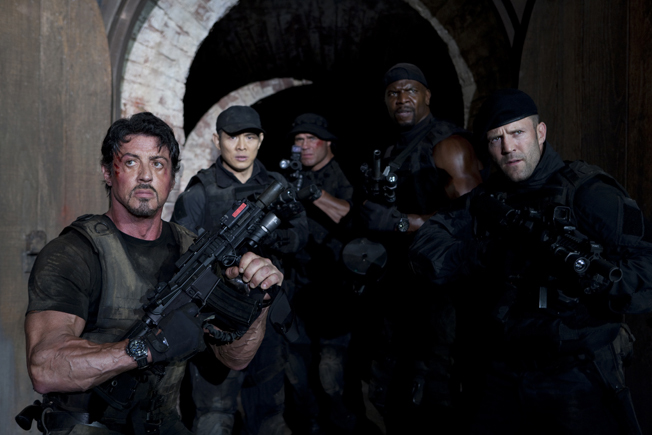 But here are some pictures from the new "The Expendables" movie - with both Sly and Statham (Sylvester Stallone, Jason Statham, Mickey Rourke, Terry Crews). I'm off to the summerhouse this weekend with some friends and family. We paln to enjoy the sun, have some steaks on the grill and in general just small talk. I will probably have two watches with me - my new Linde Werdelin and my old faithful Panerai 25C. So again my update on this blog is not up to the speed I would like. I also plan to finalize my review of Linde Werdelin watch (The Elemental) and last but no least - hope to make some nice photos of my watches in a new situation - watches and friends. Here some photos from last year - and some photos of my new watch doing some grill work. When your into watches - their exist so many different watches that it can become a nightmare to stay on top of all the new models and brands that exist. That is why people that are into watches normally only is into 1-2-3 different brands. I for one has always been a ROLEX man and will forever have this brand very high on my list if not on the very top. I have also been part of the Panerai brand, and last I have joined the little group that can say they own a Linde Werdeling watch. 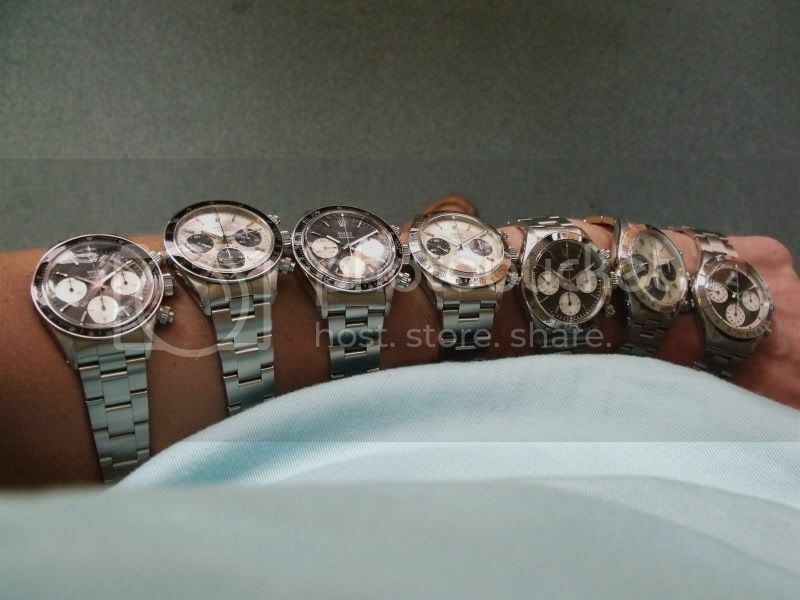 The Rolex is "THE WATCH" to wear - everybody knows it, everybody knows the "price", and it is very easy to spot. My Panerai watch is a little different story - this watch was in a start just a big watch - but during the latest year I have received feedback from people I have meet on the train, at family gtg etc. This had made me think - what is in a name - what do you get "more" than just the watch when getting a "new" watch. So my question is sometimes what else do you buy into when selecting a watch brand. Review 5: Linde Werdelin - peoples feedback to my photos and reviews. Not really a review - but I have received relative much feedback on the photos and my reviews of the watch that I want to share. In general people are split into 4 groups on this watch. The people that don't like it are mainly people that will focus on Rolex and Panerai watches, they like the "history" of the watches, the look and the general just want to stay true to know brands. The design of the LW watch is also something very special - and something you need to like. The design can look like that of watches to about 100-200 Euros - a cheap fashion watch - not easy to recognize for a non-WIS.
That is not a problem with Rolex or Panerai - these watch designs are "well known" by many people. Then we have the people that like it but don't know it. These people are becoming more and more. The LW brand is slowly becoming a relative "known" brand - is on the radar of many people. But these persons would like even more information on the brand - even asking about the price (easy to see on the LW website), and where to get the watch. These people are not close to getting this watch but they are starting to "knowing" the brand. Up front they like the look, the design and the size. Like it, maybe they know it and maybe they want it The we have people that know about the brand, they are keeping a eye on this brand, the new models, the stories, etc. These people maybe want this watch - they are 70-90% close to making a deal on a LW watch - but they keep falling back to known brands with known resale value and known by other people than die-hard WIS. They like that the numbers of LW watches are limited, that the brand is upcoming, the use of high end ETA movement (on some models) and the idea behind the brand (design and vision). But there is a need for taking the final step - they need to try out the watch - the try-out program by LW is not enough - sometimes when shopping around for a watch you return to a store many times - try out the watch - compare it to other watches, and come back again to try one more time. You can easy go back to a shop 2-3-4 times to try out a watch before you "pay the bill". I have the same feeling about the Rolex Deep Sea - that is one I need to try out a few times before jumping into. People are also glad to read review of the LW watches - from people that have it in real life and can describe the watch in "true" words. These people are close to becoming a LW owner - some will back down when - some will move ahead. Like it, know it and want it Here we are very close to having a new LW person - but again the thing to stop these people is the same as the group above - They see the positive aspects of the LW brand is would like one - they just need to "justify" it. To sum up the LW in pro and cons from peoples feedback. The Design - it is new - looks cool and is just the right size. The Movement - ETA is a BIG plus - easy to get fixed all over the world. The idea behind the brand - people like that there are people behind the brand. The price - well this is often the saying - I have to select between rolex/panerai and a LW - ??? Have only see pictures - I like it - but will I like it in person - and this is when the price and other brands "win". Information on watches, links to information, questions and answers related to watches, pictures and other funny useless knowledge..